Since graduating from the University of Wisconsin – La Crosse following her studies in economics and pre-law, Sadie Parafiniuk has found her passion in politics and federal government. These experiences have developed her into a manager and leader that she didn’t think was possible. Fast forward to today, she serves as the Deputy District Director for Congressman Glenn Grothman. 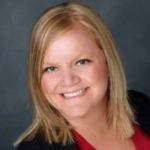 It’s no surprise her career has continued to evolve as she most recently took over the Financial Administrator position in addition to her director duties. Parafiniuk’s extracurricular involvement includes the Professional Women’s Connection where she is involved at both the local and statewide levels, Fond du Lac Noon Kiwanis, YPF where she is involved in both the membership, programs and events committees in addition to other special event committees, Ladies Wine & Design Fond du Lac, and Downtown Fond du Lac Exploratory Committee.